In a small western N. Carolina mountain town, nine-year old Jess Hall and his mute older brother, Stump, witness something they don't fully understand, but know is bad. As a result, a charismatic evangelical preacher and his church elders attempt to cure Stump, with tragic consequences. The County sheriff's investigation into how and why this tragedy occurred unfolds, while the secrets that Jess holds compound his grief and guilt. This story is told in alternating chapters by three people: Jess Hall; Adelaide Lyle, the local midwife and protector of the community's children; and Clem Barefield, the sheriff, whose has also known tragic loss. 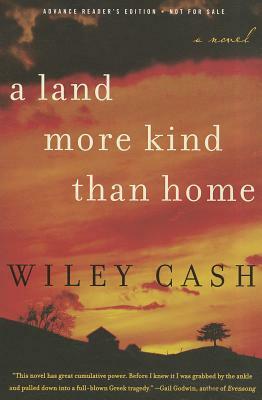 First-time novelist, Wiley Cash, perfectly captures the voices and cadence of these distinct characters as well as the time period and geography of the region with its hollers and coves. This is a literary and poignant story about fathers and sons; forgiveness and absolute evil.